The Derby is the time to go above and beyond with bright colors, feminine frills, and over-the-top accessories. On this day, it’s okay to be a little “extra.” Dare we say, we encourage it? 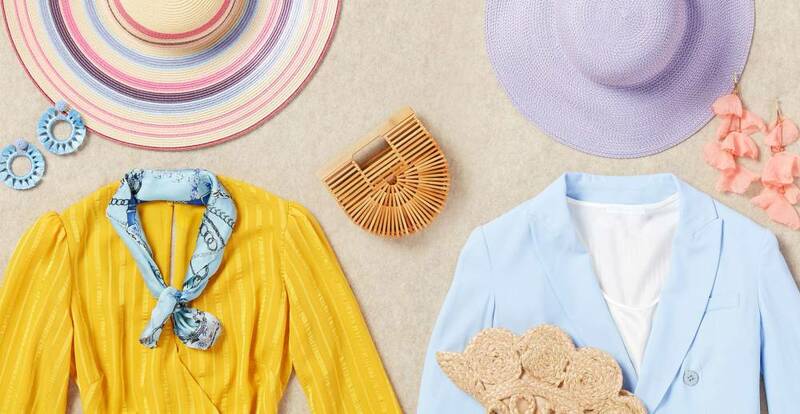 Whether your mint julep is homemade or from Churchill Downs, we’ve updated our guide to Kentucky Derby fashion with two outfits that will look right at home both barside and trackside. Louisville, we’re coming for you! Is that the Derby trophy we see? No, it’s a stunning golden-yellow dress. Sleeves are great for unpredictable spring weather, and ruffles add a feminine flair. And of course, it wouldn’t be the Derby if we didn’t talk about sun hats. 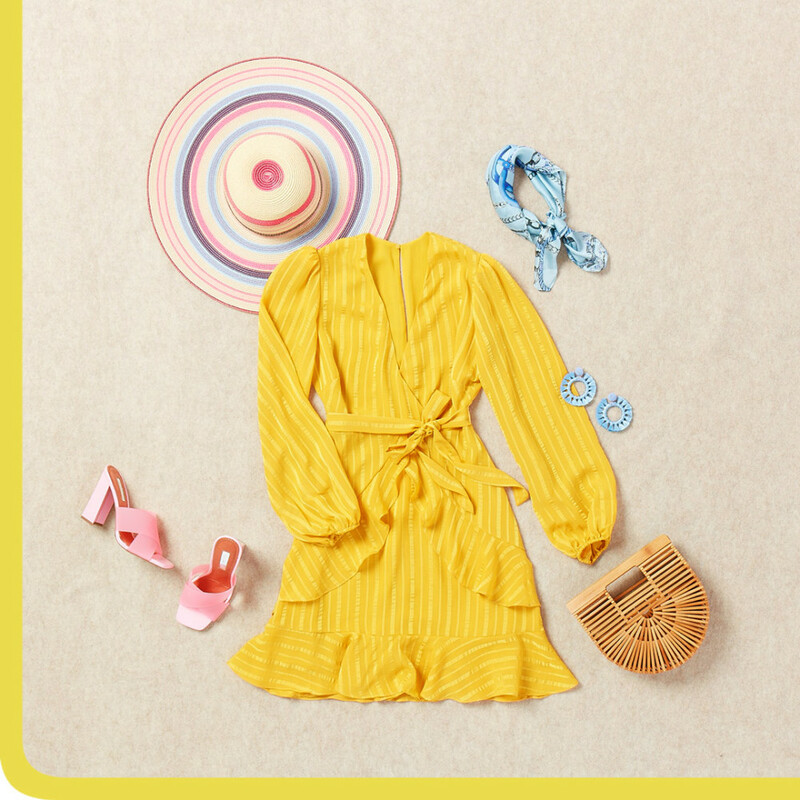 It’s no mistake that the bubblegum-pink and periwinkle stripes match this outfit’s shoes and accessories, because pastels are always a fan favorite at the track. And consider a block heel or wedge, because the last thing you want is to sink into the green. If you’re grabbing a bar stool instead of a bleacher seat, something with an inseam might be a good option. But don’t feel like you’re missing out on the pageantry by not wearing a dress—a pair of paperbag shorts in a statement print is just as festive. (This playful pair reminds us of rainbow sherbet.) With a silk cami tucked in and a structured blazer on top, it’s a fun—but still classic—take on the Derby look. And check out this bag. The Derby may be all about the hat, but we think an eye-catching woven clutch (that can be used all spring and summer long) is a perfect complement. Dressing for the Kentucky Derby is so much fun! Show us how you styled yourself for the race and tag us on Instagram at @TrunkClubWomen.